As promised earlier this month, Camera Bits has released Photo Mechanic 6, a major update to the company's image ingestion software. A free trial is available to download for new users on Windows and macOS, while 'qualified' existing customers can upgrade for $89 USD. A new software license is priced at $139 USD. For users who purchased Photo Mechanic 5 in 2018 will receive a license key for Photo Mechanic 6 for free. Photo Mechanic 6 brings a large number of big and small improvements, including the previously announced 64-bit support, the ability to ingest images from selection, better image caching, full-screen support for Preview and Contact Sheet windows, and reverse geocoding. As part of the initial release, Photo Mechanic 6 brings new elements including a new render cache and image gallery exporter. In addition to new features, version 6 also adds improvements to existing tools, including crop, slideshow, and the Find and Replace panel, plus new support for Blu-ray disc burning and much more. 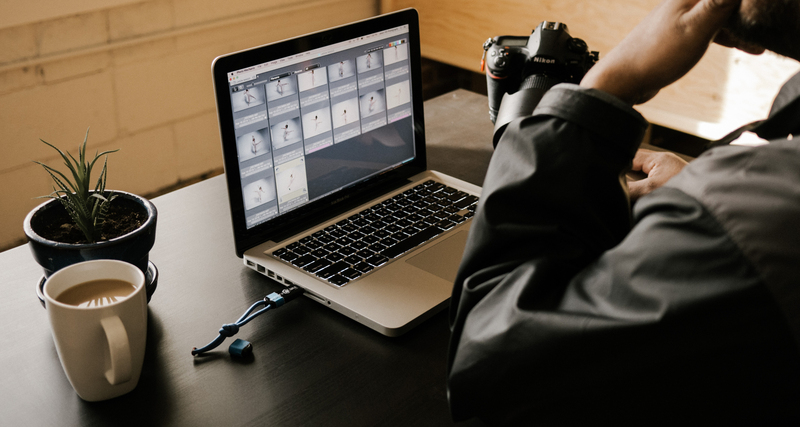 The software enables photographers to rapidly ingest images, organize, and manage them at faster speeds than catalogue-based competitors. Users have the ability to cull, tag, view, organize and export their images from a single application. This is the first major update to Photo Mechanic since the release of version 5 in 2012. Mac users must be running at least Mac OS X 10.10 or higher to use Photo Mechanic 6; Windows users must be running a 64-bit version of either Windows 7, 8, or 10. In addition to the release of Photo Mechanic 6, Camera Bits has also announced Photo Mechanic Plus, a premium upgrade version of Photo Mechanic that will include the much-anticipated Catalog feature. A limited beta of Photo Mechanic Plus will be launched on April 22nd to Photo Mechanic 6 owners at no extra cost and will be launched alongside a dedicated forum where beta testers can share feedback. In Camera Bits' own words, the upcoming Catalog feature 'is an image database for managing large numbers of image files across multiple locations.' After the beta period is over Photo Mechanic Plus will be offered as a paid upgrade over Photo Mechanic 6 at a price that's yet to be announced. Ingest. A full SSD is now a constipated PC? And their customer service is top notch, best in the industry. They actually listen to their customers, unlike the big brands. Does it permit to ingest and tag video clips at the same time of pictures ? To me, PM is first and foremost a metadata tool. If you want quality captions at speed, there is no better software out there. I find PM most useful when covering sports where a player is associated with a number like football, motorsports, etc. All the news and photo agencies use it. I was late to the game on it, I still think it's interface looks like it's stuck in the 80s but you can't fault it for being a powerful metadata and culling tool. It seems to be fast and while I am not perhaps the target audience for this (C1 Pro is my workhorse besides PS), my complaint is rather personal, which is the interface is a no-go for me. If this doesn't bother you and you just need the ability to ingest files quickly, run thru edits and create selects, then this could be your baby. Photo Mechanic is the greatest piece of software any real photographer should have. The #1 software to caption, imbed IPTC data, and sort photos with. It's used in the sports world to quickly caption images using a series of short codes. For example av10 = Aston Villa's Jack Grelish. These codes cod be for any sport or subject. When time is if the essence, PM makes captioning super fast. I downloaded it last night and played around with it briefly to see what it could do - for the steep price I'd expect a slicker UI. I only used it to browse my RAW files in a folder and couldn't see why I'd use Photo Mechanic rather than Fast Raw Viewer to separate the duds and keepers, especially as FRV lives up to it's name and costs a fraction of the price of PM which seems slow and clunky. couldn't see why I'd use Photo Mechanic rather than Fast Raw Viewer to separate the duds and keepers. Yes FRV, is possibly better and certainly cheaper if that's all you want to do, but that isn't what PM is designed for, even though it offers that function. FastRawViewer and Photo Mechanic are very different programs. If you want to be able to quickly edit RAW images using a RAW-based histogram instead of the usual JPEG histogram, then FRV is for you. If you need to ingest and keyword a large number of images in the shortest amount of time possible, then PM is the software to get. I suspect that many pro photographers wind up using both programs. . . Considering Macs went 64bit back in 2008 it’s doubtful whether there are many 32bit apps left that would work on a more recent OSX. Unfortunately there are still a lot of apps that are still not updated. Like my Epson printer/scanner software. I'm still on H.Sierra and probably for a long time as I have lots of 32bits apps that I use. Apple screwing a lot of people , no reason for Apple not to run 32 bit somehow. I feel sorry for you, but aim your ire at the developers. The first 64bit Mac was 2006, so the developers of your software have had 13 years to make updates, which is strange because they probably recompiled for Lion at the very least. Can Photo Mechanic see raw edits made in LightRoom via the xmp side rider files? I stopped using it several years ago when tying to export images that I had already worked on. Is there a workaround for this? I still use ImageIngesterPro for automatically renaming photo files in my cards and downloading them to internal HD directories / folders organized by dates taken ( year/ month/ day ) plus a back up copy on an external HD. My photo files add up to around 100,000 originals at this time. Unfortunately, that excellent and simple software is not supported anymore and I just can't find a similar substitute to my liking. It's already showing some "hickups" on Windows 10 latest versions. If anybody shares my concerns and knows of a simple app ( free or low-cost ) that does that job, please let me know! Thanks! Breeze Systems Downloader Pro does all of the things you mentioned and more. It costs 45 USD. Maybe not the cheapest option but it is actively supported and worth the money if you want a flexible stand-alone program instead of using something that comes with a DAM. I've tried several options (free and paid) and liked Downloader Pro the best but you may have different preferences regarding workflow etc. so you may want to give it a try first if you haven't already. Been going for a long time with a good reputation, not free but at $45 might be worth looking at. >Breeze Systems Downloader Pro does all of the things you mentioned and >more. Downloader Pro is useless for Mac users. >Downloader Pro is useless for Mac users. But the OP is asking about Windows 10. Adobe Bridge is free and cross platform. One article last week, yet another one this week about Photo Mechanic.. And still, people don't seem to understand better than last week what Photo Mechanic is about..
Its a tool like Fast Raw Viewer, but slower and with less functionality. >Its a tool like Fast Raw Viewer, but slower and with less functionality. It really isn't. I use them both nearly every day, both great programs but aimed at doing two totally different jobs. @goodgeorge. I use both. You're wrong. Just tried Fast Raw Viewer and love it even more, than Mechanic. I think it's even faster, than Mechanic and has basic RAW editing, like manipulating exposure, contrast and WB. What a tool! It's an excellent tool, it can really show RAW files from all supported brands & formats, bought my license when 1.0 final was being out. :) using it for a long time. Much better, than all others - picture viewers, which only show the embedded JPEG file within a RAW. FRV really shows the RAW File. I had asked the creators of PM some time ago to add RAW viewing to it. I'm disappointed that RAW viewing wasn't added to PM6. If it had been, I would have upgraded from 5. Since it wasn't added, I won't be. The other added features don't impact what I need to do enough to justify the cost. >I had asked the creators of PM some time ago to add RAW viewing to it. Photo Mechanic has been showing raw file views for a decade plus. Now sure what you mean it doesn't. PM uses the imbedded jpeg inside the raw as a preview, that's why it has been so fast for pro photographers needing fast culling in large quantities. I only shoot raw. It may not have shown raws from some camera brands, but as Canon raw shooter since 2004, it will show any raw from every Canon I have owned. Have you tried Photo Mechanic 6? It's supposed to be 2-3 times faster than 5. I have, it's noticeably faster for me (on my old Mac Mini), which is what most people are reporting, but some people are reporting it as slower. But PM is about "workflow" speed and some of the speed increases it seems, refer to the time it takes to complete a PM task, not just raw speed of rendering and scrolling. In this regard, PM6 is faster than PM5 for me, and going back to the OP, they are both faster than FRV, but FRV is aimed at a different customer. I tried 6 and for me on the Mac it is noticeably slower. I have both installed right now and 5 is super quick. 6 has a half second lag between pics. @myotisone and Schweikert: Below is a copy of my exchange with Camera Bits, when I asked about adding RAW histograms . Would very much like for PM to have a RAW histogram. I often use FastRawViewer to cull and select photos when I have a shoot with bracketed images, as jpeg-based ones aren't accurate enough for critical work. But it's not nearly as intuitive or fast to use as PM. Could you add RAW histograms to PM? PM doesn't render RAW files itself, so it can't have access to the image data and as such it can't count the frequency of color data. In general, PM does not render RAW images. Since it does not render RAW images, then it can't also get a more accurate histogram either. The 'Kirk' is a Senor Software Engineer on the Camera Bits staff. I'm confused now, were you talking about viewing raw images or raw histograms. That main exchange with Kirk was about raw histograms. But I didn't realise it was only the Mac that offered a raw view toggle, which I have just discovered they have removed from PM6. No explanation, just that its been removed. I have FRV set up as the main editor in PM, and just flick between the two as part of my more detailed evaluation. I was going to say that I have a RAW processor as an option in PM5 but you mentioned that. Looking forward to this, and about learning it's ins and outs. Want to do a better job of creating captions for individual photographs. It's so much easier to cull photos with PM than LR. I've heard FastPictureViewer is a similar program (if you don't need all the bells and whistles). Does anyone have experience with it? My favorite culling app is Adobe Bridge. It's fast and has some features most aren't aware of. Does FPV actually render the Raw file or just show you the JPEG embedded in the Raw file? My main problem with Bridge, which I have been using since it came out, and Adobe even incorporated one of my suggestions into it, has developed into a less usable piece of software. You can't control the size of the metadata fields, so a lot of metadata ends up hidden while you're trying to edit it. Plus the subscription, and what I've learned about Photo Mechanic 5 and 6 and I've dumped Bridge with zero regrets. FastRawViewer does just as good a job with triage/culling as Photo Mechanic. Photo Mechanic has better keywording tools. If you just need to sort incoming images from shoots FRV is $15. Dr Jon, like i've written yesterday here before - FRV is imho the only tool, which does show the -real- RAW, not the embedded JPEG file inside every RAW! I don't really care about seeing a half-developed RAW from FRV any more (initially I was excited about it). I'm shooting RAW and jpeg most of the time as it's easier and faster to cull from the full size jpeg previews. The development hasn't stopped. There's a great beta out right now for 1.5 which includes TIFF and PNG support. That link includes a trial code good until 5 May 2019 without even signing up with an email. I strongly recommend trying FRV with priority to external jpeg if you have them. Filtering via XMP Rating "Not Set" and after pressing Tab allows you to go through your pictures full screen very fast with automatic transport controls (i.e. when you grade a picture, it disappears and the next one comes up). Another useful hack is go click G to get thumbnail view and then maximize thumbnail size at 800px. 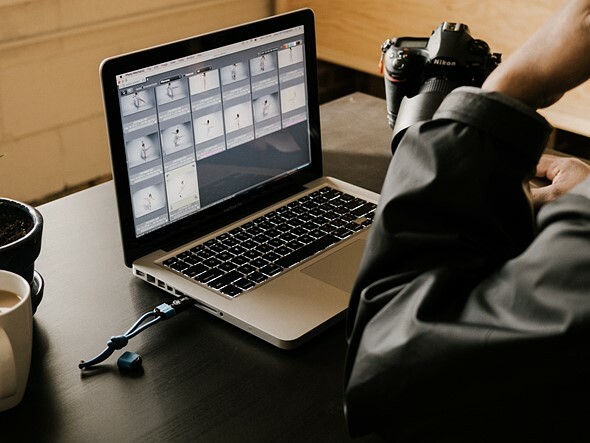 Scrolling quickly through 800px thumbnails in two columns gives a photographer a very solid initial review of a session and lets you delete unneeded or unsuccessful parts of a set in bulk without having to go photo by photo. FRV is a much deeper program than it seems at first glance. After a few years of use, I'm still learning new ways to work faster and better. Also a fine feature is to view your RAWs into FRV, and then directly transfer them to PS. Photo Mechanic is so much more. if you care about metadata, you have variables and ITPC templates that will speed up your work. But then a protessional tool isn't needed by people who only type in a copyright and descxription. But if you care about having the right metadata for professional puposes, Photo Mechanic will blast any competition out of the water. My biggest gripe is it doesn't support iPhone's HEIF format (same quality as jpeg but half the size, or better quality at the same size). Secondly it would be nice if it were able to filter out a lot of differnt files and EXIF more easily. Letting me manage all files like Bridge can would really be helpful for cleaning up a file system gone awry. Elwech, you're right: PhotoMechanic is both a culling tool and a keywording/ITPC. While FastRawViewer offers the basic of ITPC editing and adding some basic copyright information but it's primarily a culling/selection tool. A photographer who needs ultrafast processing of jpegs out with detailed metadata would be better served by PhotoMechanic. 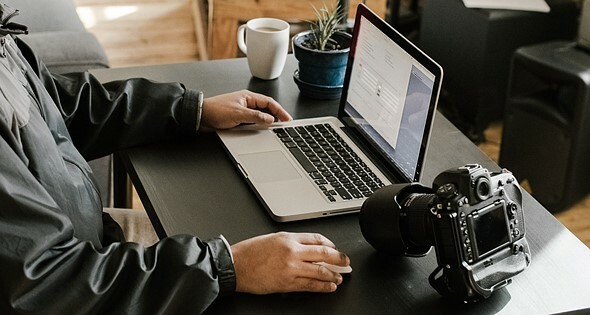 A photographer who needs to cull substantial shoots from RAW and will go on to process the photos from RAW is equally well served by FastRawViewer at 1/10th the cost. Before version 6, I'd say better served by FastRawViewer. FRV while not lining up for any beauty prizes offered a modern interface while PhotoMechanic 5 is one of the ugliest pieces of software I've ever opened on OS X.
Yeah, Photo Mechanic 6 won't win any beauty contest either, unless it's the beauty of making metadata a breeze. If people learn the IPTC template correctly, they will fall in love with it ugly and all. And that doesn't include variables, which are phenomenally useful, along with some other gems nobody seems to want to talk about.